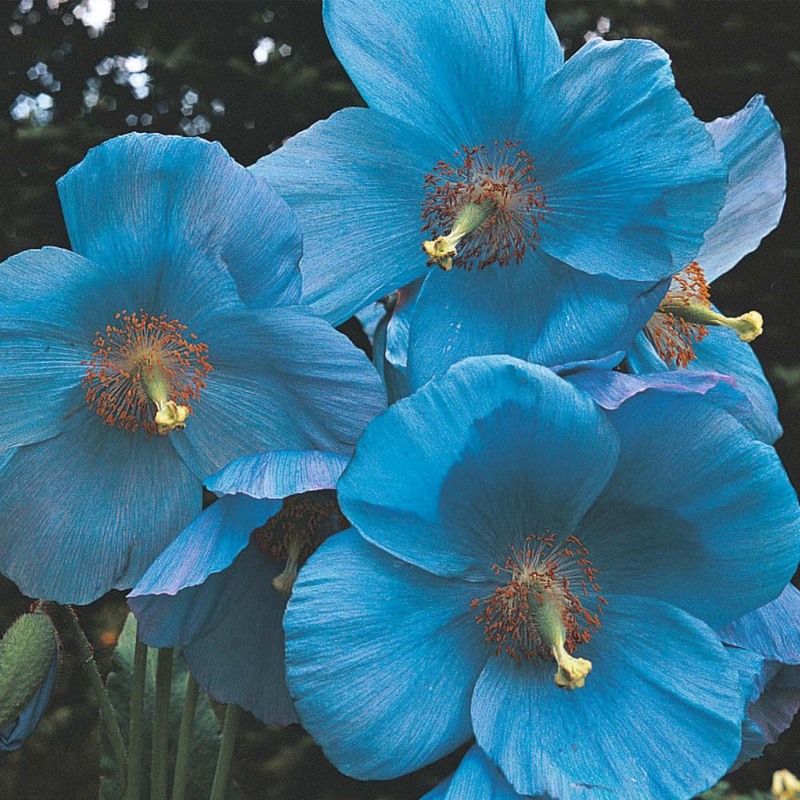 The Himalayan Blue Poppy - Meconopsis betonicifolia is one of those plants that captures the imagination, but will usually let you down once you start trying to grow it yourself. 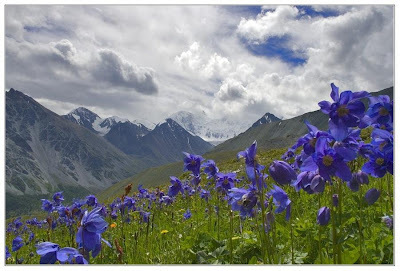 The problem with the Himalayan Blue Poppy is that most people try and raise it under normal garden conditions making no allowances to adjust its local environment so that it mimics its native conditions. The same is true when it comes to growing it from seed. Originating from the lush, mountainous regions of south-eastern Tibet, this almost magical plant requires a cool, sheltered position in order to perform. 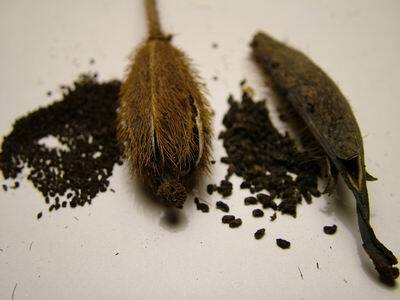 However, the trick with this particular plant is to prepare its seed prior to sowing. The best time of year to start propagation is from early Feb to the end of March, however many growers will prefer to start in the autumn. So long as you can provide cool bright conditions during germination and somewhere to grow on that isn't subject to extremes of temperature then it is actually possible to germinate Meconopsis seeds at any time of year. Strange as it may seem, the seeds need to first be ‘sown’ onto damp kitchen (paper) towel. Use a good quality towel as it needs to be properly soaked first and then wrung out without destroying it before placing the seeds on it evenly. Carefully roll up the damp towel and place it inside a plastic bag sealing the end, then put the whole thing into the salad compartment of a fridge for four weeks in order to break the seeds dormancy. After this cold treatment period, prepare a seed or plug tray using good quality ericaceous seed compost. If this is unavailable make up your own seed compost mix using equal parts of horticultural grit/perlite: John Innes Seed compost: and Ericaceous compost. Once done, thoroughly water and allow to drain. Remove the seed from the paper towel and gently press it into the surface of wet seed compost, but unlike most other seeds – do not cover with an additional layer of compost or grit. 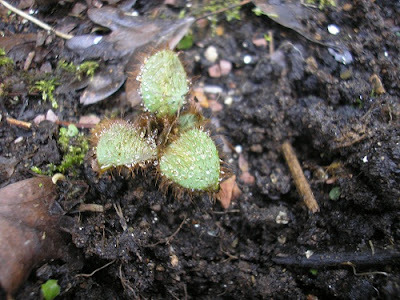 Meconopsis seed require light to initiate germination but do not place the tray in direct sun light as bright conditions are more than enough. Place the tray into a cool room with temperatures of no more than 18 degrees Celsius. Maintaining a level of constant dampness is very important and at no point should your growing medium dry out. You may wish to cover your tray with a sheet of clear plastic to help maintain humidity but this must be removed at the first signs of germination to prevent the incidence of fungal rots. When it comes to watering, water the tray either from the base or by gently misting from the top, but remember; DON'T LET THE COMPOST DRY OUT! Germination should occur between 2 and 4 weeks and as soon as the plants develop their second set of ‘true’ leavers they will be ready for transplanting - even though they may be no more than ½ inch across. Holding the plants by a single leaf, gently tease the seedlings apart causing as little disturbance to the root system as possible. Plant the seedlings into individual pots containing good quality ericaceous compost. You may wish to mix in some horticultural grit or perlite at this time to help improve the drainage. Meconopsis plants are strong feeders and even at this stage they can begin feeding with a half dose of general liquid fertiliser. If conditions are suitable the young seedlings can now be transferred outside but make sure that they are protected from heavy rain, direct sunlight and slugs. Once they get to about 6 inches in height they can be planted outside into their permanent positions, but remember, throughout this entire growth period – DO NOT LET THEM DRY OUT! The soil should be dug over deeply adding plenty of humus rich and ericaceous (lime-free) compost. 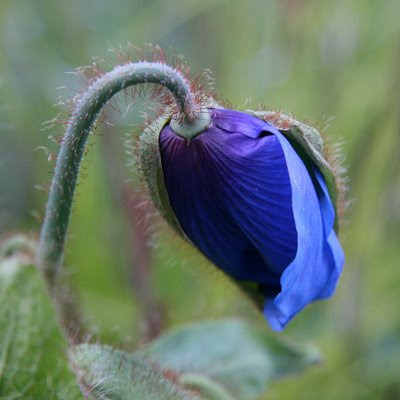 As mentioned before, Meconopsis also have high nutrient requirements so it’s worth mixing in some well-rotted farm manure as well as periodically feeding with a dose of balanced fertilizer as the plant becomes established. Try and avoid any competition from tree roots, and the area should be partially shaded – preferably from deciduous plants - so as to protect the plants from mid-day summer heat, but also allowing plenty of winter light.